The Romans worshipped an innumerable number of gods and goddesses. Many of these were first deities of the Etruscans who lived in Italy before the Romans built their vast empire. In time, the Romans integrated gods and goddesses from other people they conquered, particularly the Greeks. It was also a common practice amongst Romans to offer up prayers to their pagan gods. Some of the most familiar of these were Jupiter, Juno and Apollo. In Roman mythology though, there are two deities that I was not too familiar with, that I came across recently. To my surprise I would learn that these two deities featured in works by European sculptors and painters of the 16th through to the 18th centuries. I am, of course, talking about Pomona and Vertumnus. 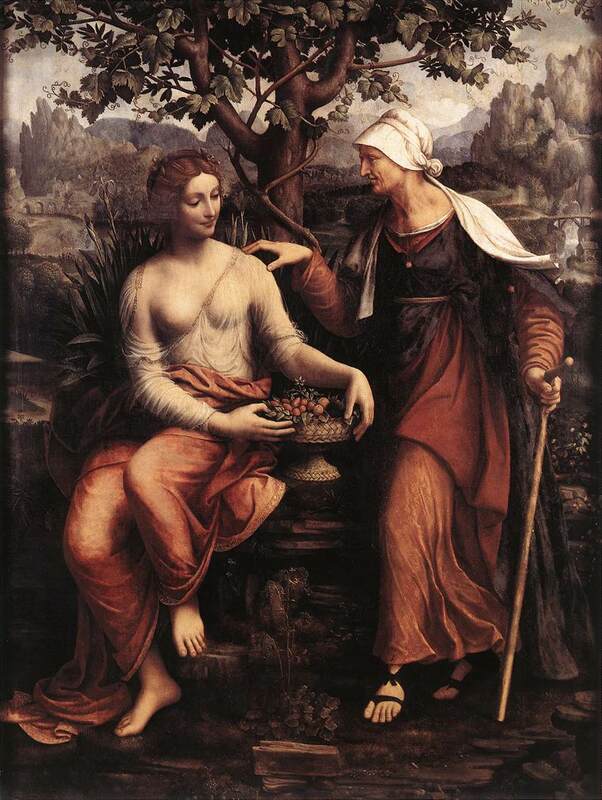 Vertumnus and Pomona by Francesco Meizi (1493-1570). Pomona is often seen surrounded by fruit or a fruit platter. In artistic depictions, Pomona is usually shown as a wood nymph surrounded by fruit or a fruit platter. In Roman mythology she was said to be from Latium, the region of central western Italy in which the city of Rome was founded. She was the goddess of fruit trees and orchards, who watched over the fruit harvest. She carried a pruning knife and was often seen among her fruit trees tending to their needs. Vertumnus was originally, an Etruscan god, in which the Romans adopted as one of their own. His cult arrived in Rome around 300 BC. Vertumnus was ‘god of the changing seasons’. He could change his appearance, using his powers, according to Roman poet, Publius Ovidius Naso (Ovid). 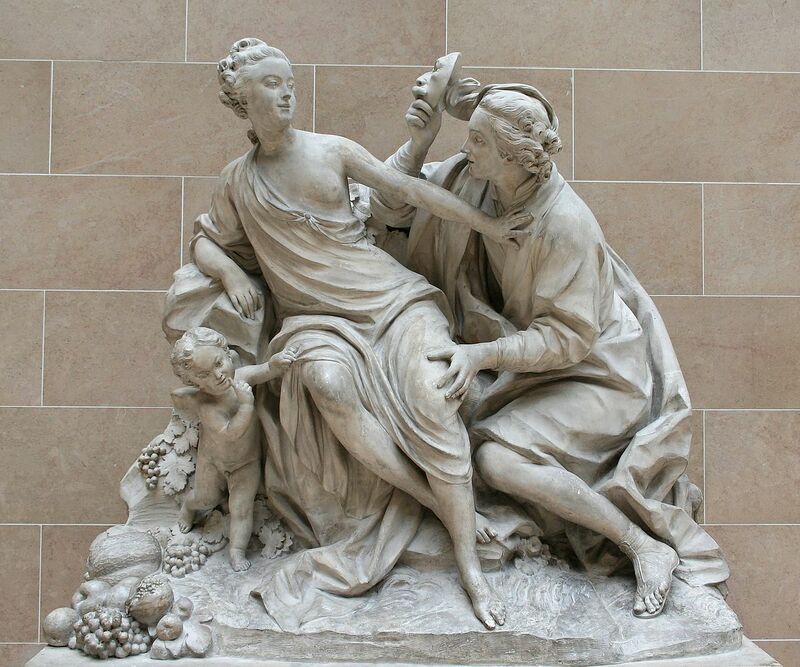 The statue of Vertumnus and Pomona 1760 by sculptor Jean-Baptiste Lemoyne. 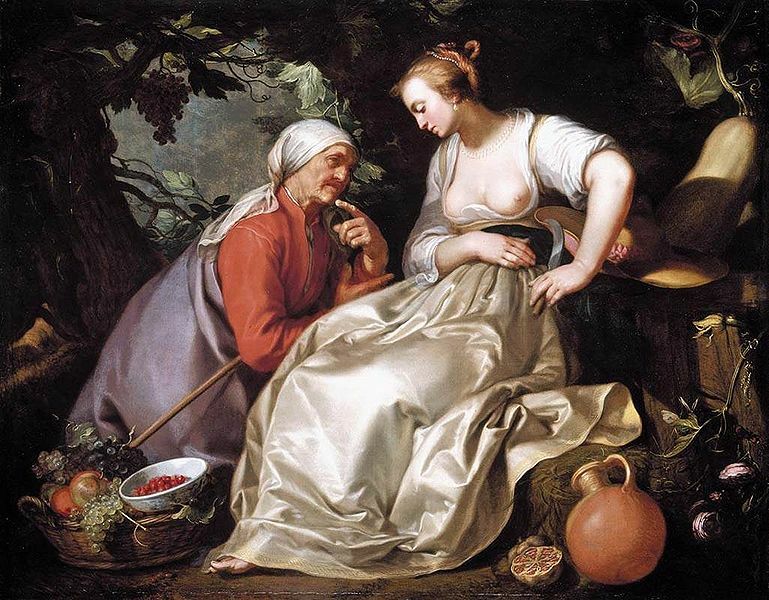 Vertumnus and Pomona by Abraham Bloemaert (1564-1651). The pruning knife in Pomona’s hand is always associated with her in legend. 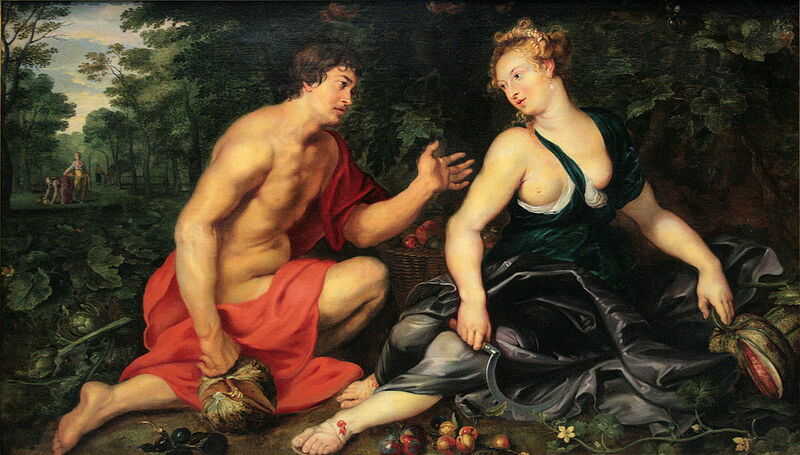 In Ovid famous poem called the Metamorphoses, Vertumnus and Pomona play out in a curious tale of love and seduction. In the story relating to the two deities, Pomona is pursued by many of Rome’s gods because of her beauty. She scorns the love of these gods to remain devoted only to her garden. However, one of these gods, Vertumnus, does not give up easily. Using his powers, to change his appearance, he adopts many disguises to seek the hand of Pomona. He would come to her first as a harvester, then the keeper of a vineyard, a fisherman and a soldier, yet she would still continue to hold him in contempt. In almost a last-ditch attempt, he comes to her as an old woman, describing the virtues of marriage and dangers of rejecting love. But Pomona weary of the aged crone simply refuses to listen. Nothing it seemed was going to succeed in wooing the beautiful maiden. Finally, Vertumnus, decides to appear as himself and when Pomona sees what a handsome man, he actually was, she instantly falls in love with him. In the end, they take residence in her garden tending to her fruit trees together. There are many who have tried to interpret this story. To me, it appears that a seemingly desperate moment evokes an awakening in both protagonists. True love or just simply mutual desire? Vertumnus appears before Pomona as himself. Painting by the great artist Peter Paul Rubens 1577-1640. Photo credit: All images used here are in the public domain. The header image is Vertumnus and Pomona 1613 by Hendrick Goltzius. Vertumnus appears before the wood nymph Pomona as an aged crone. Maybe it is just to remind us that falling in love is a human event and all too often people fall in and out of love throughout their lives, often with more than one person? I tried different disguises to get a girl to fall in love with me, but she knew it was me each time.